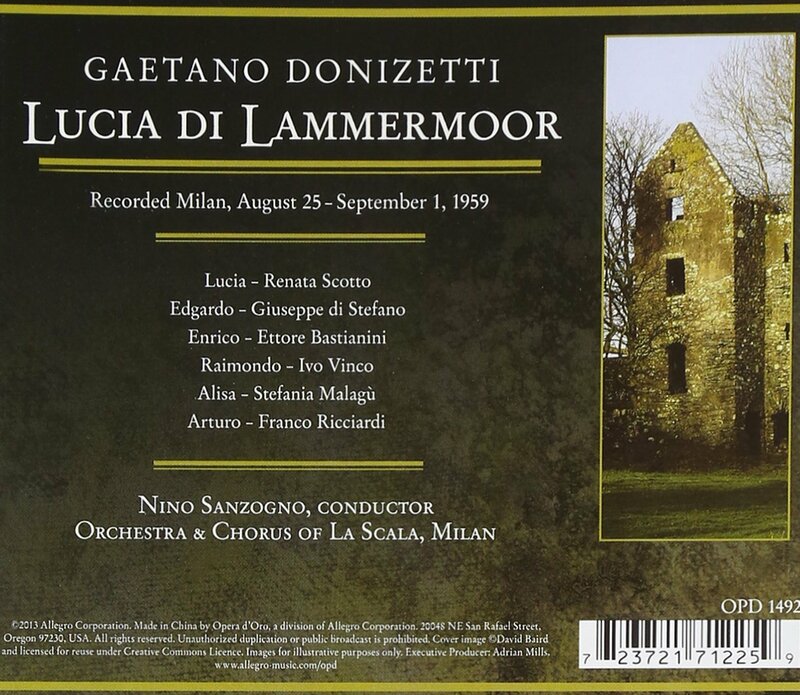 I recently acquired a Lucia di Lammermoor recording conducted by Nino Sanzogno (1959, Milano). 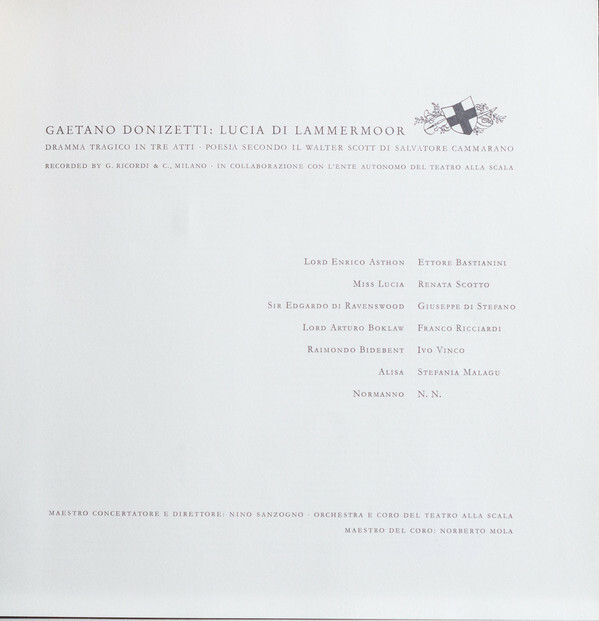 The album's catalog number is OPD 1492 (Opera D'Oro is the label and 1492 the release number). 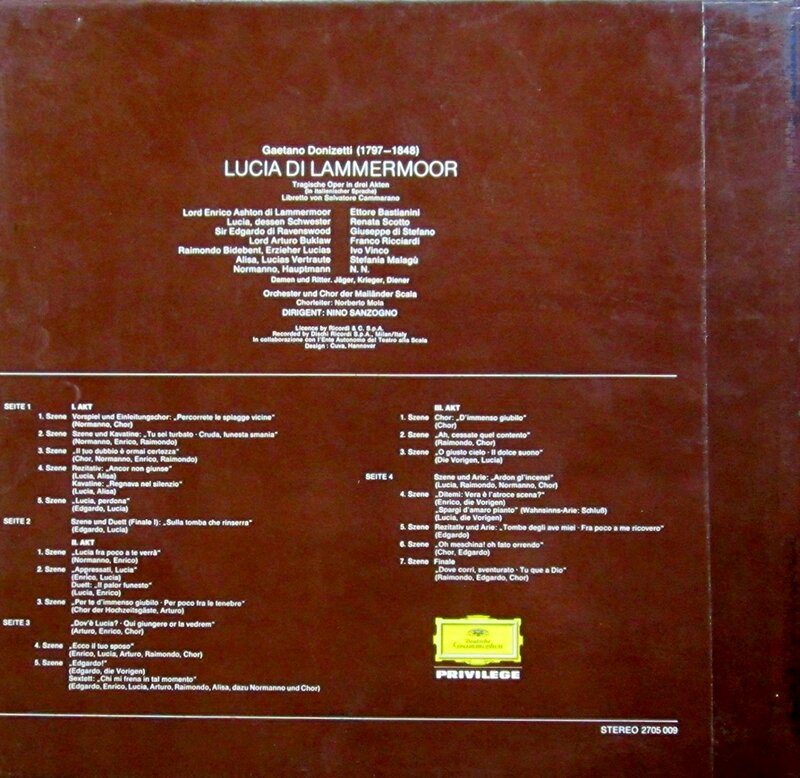 I have found a couple of different releases of the same recording, by different labels. For example, released by Myto Historical with number #00207. Another release of the same recording in Spotify. 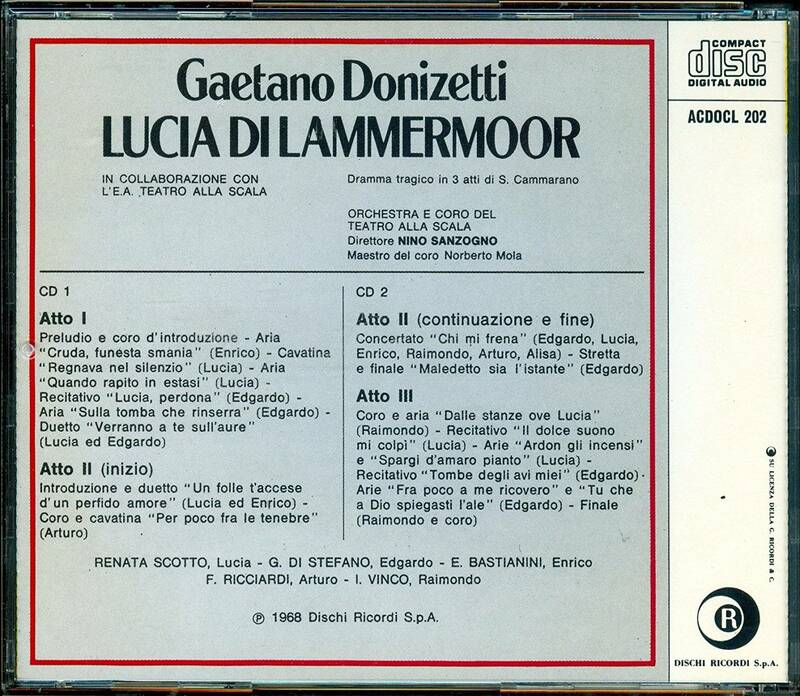 Another release of the same recording in Deezer. The album reference in allmusic.com. The other release reference in allmusic.com. 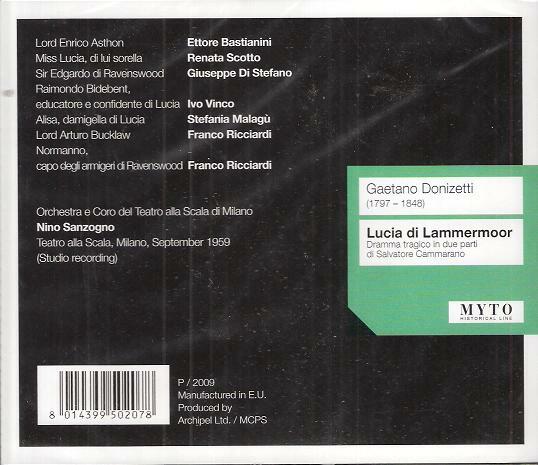 It seems it might have been Franco Ricciardi, playing two roles (Arturo and Normanno). Another reference can be found in esdf-opera.de. Not the answer you're looking for? Browse other questions tagged identify-this-artist opera or ask your own question. Who is the asian singer in the gif? Who the heck is Adele Cara? Who played bass on George Michael's “Cowboys and Angels”? Who is the guitarist of the melodic blues line in “I want you (she's so heavy)” of The Beatles? who is the voice in Manu Chao - Homens? Who are composers of “Careless Whisper”? Who knows the name of this song?